Wake Up Call is a life-size exhibit of a teen’s bedroom with more than 30 “red flags". Please join us for this FREE, eye-opening presentation on Monday, February 18th from 6:00-7:30 at the Jack Link’s Aquatic and Activity Center (JLAAC) located at 714 W. Hokah St. Minong, WI 54859. 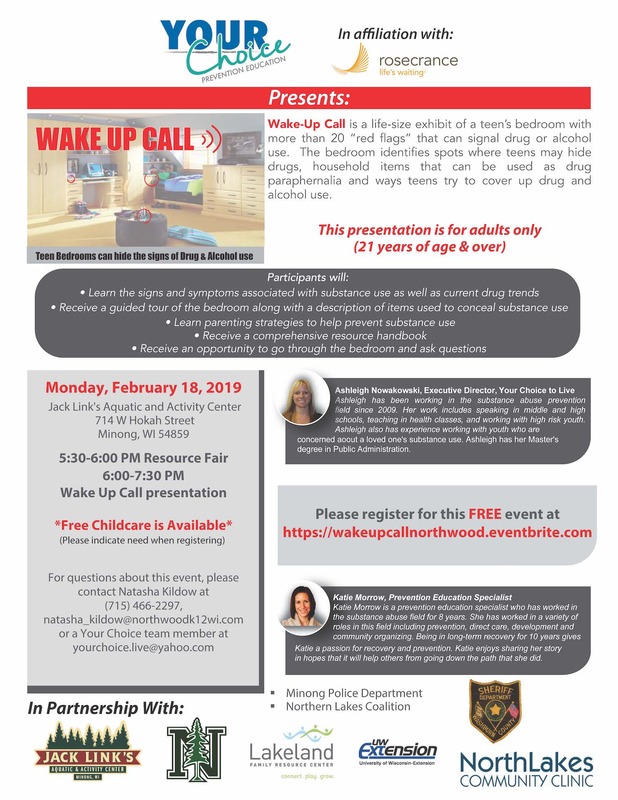 Wake up Call is provided by Your Choice to Live, Inc. and is sponsored by the Northwood School District in collaboration with many community partners. A resource fair featuring local organizations will take place prior to the event from 5:30-6:00. Supervision for school-age children will be provided by JLAAC employees and Northwood National Honor Society students - FREE of charge! Wake Up Call is a life-size exhibit of a teen’s bedroom with more than 30 “red flags” that can signal drug or alcohol use. 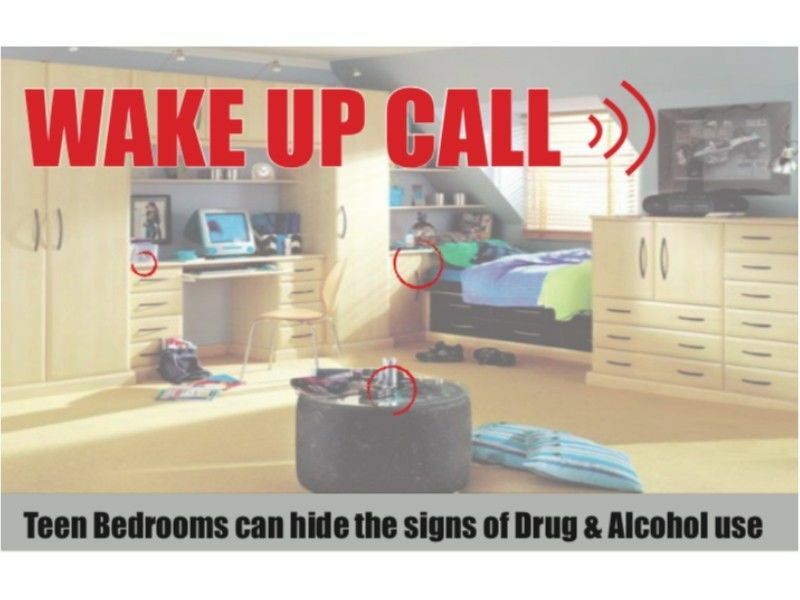 The Wake Up Call bedroom identifies spots where teens may hid drugs, household items that can be used as drug paraphernalia, and ways teens try to cover up drug and alcohol use. The goal of this presentation is to educate parents and other adults who are influential in the lives of youth so they know what seemingly innocent items can actually be an indication of substance abuse. In addition to learning about the various hiding spots and items that may indicate use, audience members will learn about the signs and symptoms associated with alcohol and drug abuse, as well as parenting strategies that can help reduce the chances of substance abuse. There will also be an opportunity for participants to ask questions and get a closer look at the items located in the bedroom. Participants will also receive a comprehensive resource handbook. All adults in attendance will be eligible for door prizes at the event! $500 in door prizes will be given away! This presentation is for adults only (21 year of age and older). This event is provided by Your Choice to Live, Inc., a 501(c)(3) non-profit committed to alcohol and drug prevention, education, intervention, and support.